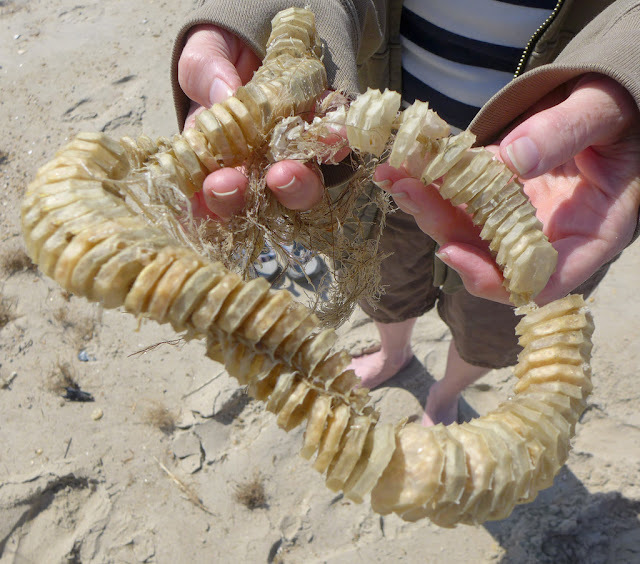 If you were wandering along a beach and came across one of these, would you know what it is? Folklore tells us that it is a mermaid's necklace. Who knows how she may have lost it and how it came to be on your beach but it is easy to imagine many legends springing up about these peculiar objects. Of course there is a scientific explanation and the fact that it can be found on our sibling site, The Ark in Space, might suggest that it is a biological one too... Why not pop over and discover what a mermaid's necklace truly is?